Leesport, PA — Berks County Conservation District received $2,000 to host a Legislative event on a local farm in Centre Township. “This grant funding will allow the conservation district staff to reduce pollution in our communities. Working together, we can all do our part to ensure there is enough clean water for future generations,” said Dean Druckenmiller. Education and outreach about the project were initiated to reach local and state legislators, officials, and other local agricultural operators. The event to be held on October 5, 2018 will include a farm tour to look at numerous Best Management Practices installed on the farm to create a productive grazing system. Twenty-six projects will be funded in twenty-six of the state’s counties. Projects include agricultural field days, forestry workshops, rain barrel workshops, safe medication disposal, and more. For a complete listing of awarded projects, visit https://goo.gl/WBqRkx. 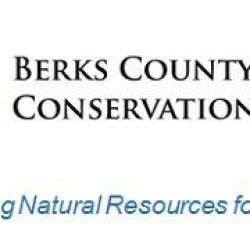 For more information about the Berks County Conservation District or the planned project, visit www.berkscd.com. Financial and other support for this project is provided by the Pennsylvania Association of Conservation Districts, Inc. (PACD) through a grant from the Pennsylvania Department of Environmental Protection under Section 319 of the Clean Water Act, administered by the U.S. Environmental Protection Agency. For more information about PACD, visit www.pacd.org.